This chapter provides the analytical framework and guiding theory for this work. Muntschick develops an innovative situation-structural model to the analysis of regionalism that goes beyond Euro-centric and classic integration theories because it takes the impact of external actors explicitly into account. This—often neglected—aspect is of crucial importance in regions with mainly developing countries that show strong and asymmetric relations to extra-regional actors. Besides offering clear-cut definitions of regions and regionalism, Muntschick draws on insights from cooperation and regime theory in order to specify assumptions and deduce hypotheses about the emergence, institutional design and effectiveness of regionalism. 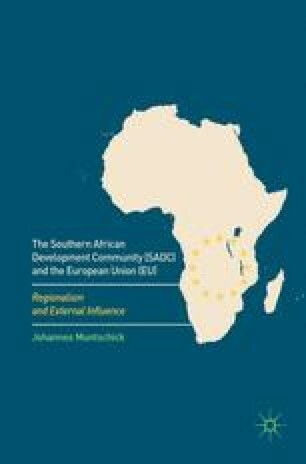 In terms of an internal and external line of the argument, the theory offers sound explanations for the phenomenon of regional integration and regionalism in the Global South and beyond.